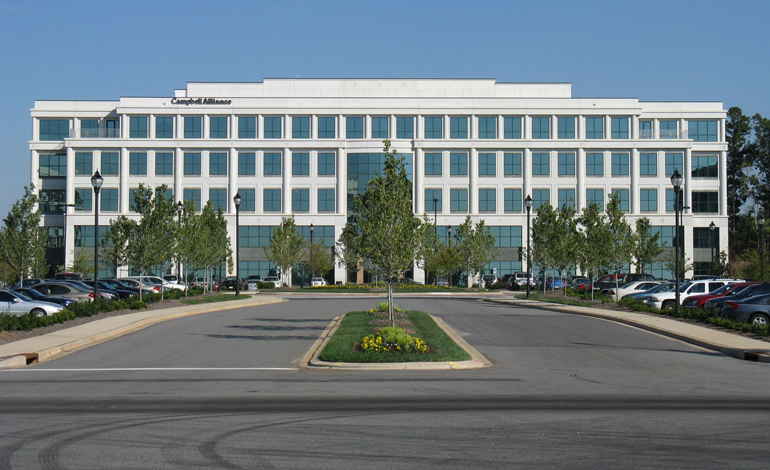 Brier Creek Corporate Center is a master planned office park located within Brier Creek, a 2,000-acre master planned community offering a wide variety of housing options, nearly 1 million square feet of retail space with numerous restaurants, services and retailers. McAdams provided American Asset Corporation (AAC) with land planning, surveying, civil engineering and stormwater management design services. 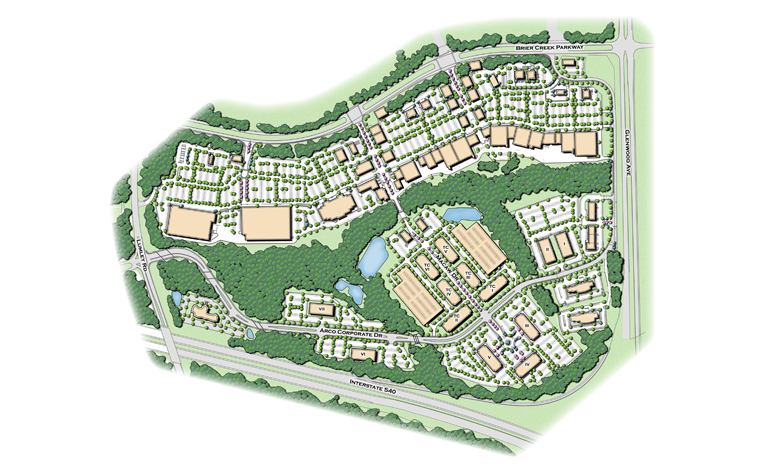 Our Stormwater and Environmental Department designed a Master Stormwater Plan for the entire office tract while the design team delivered effective design solutions flexible enough to allow for significant tenant modifications. The McAdams team overcame such challenges as difficult topography and site constraints by creating a design for limited parking. We also successfully secured a building permit for the first building prior to the subdivisions final plat approval allowing AAC to deliver completed space to a key tenant on time. McAdams provided a comprehensive earthwork analysis encompassing the completed subdivision, enabling AAC to effectively plan for future phases.